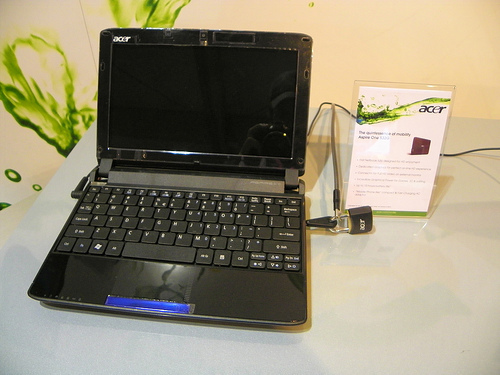 The new Acer Aspire One 532G sets the netbook trend in the digital world where Hi-Def viewing online is growing dramatically. Acer presents the world’s first netbook with dedicated next-generation NVIDIA® ION™ graphics acceleration enabling users to enjoy Hi-Def content online as well as playback at 720p; alternatively, connect through HDMI output to a secondary Hi-Def TV/LCD monitor for sharing Hi-Def content with friends at a larger 1080p resolution. With up to 10 hours* of battery life, integrated Wi-Fi®, 10.1” Hi-Def LED backlit display and optional 3G, the Aspire One 532G matches outstanding performance with an ultra-compact design, offering all the power you need. Netbook users can now enjoy flawless Hi-Def web content streaming and multiple Internet applications with ease. Go beyond simple Internet browsing to experience full high-definition video on sites like YouTube HD, Hulu and Facebook, Aspire One 532G with dedicated graphics accelerates web Hi-Def content streaming effortlessly. Enjoy smooth and flawless 3D computing, mainstream PC gaming, boost the performance of editing and converting videos, face-tagging photos and Hi-Def video playback up to 1080p via HDMI-output to HDTV; and effectively perform everyday Internet browsing, emailing, chats, photo viewing, document editing and such on the Aspire One 532G. All of these are achieved with the new Intel Atom™ N450 platform and next-generation NVIDIA® ION™ GPU with dedicated 512MB memory. The Aspire One 532G makes no compromise on great performance and battery life; it mobilizes online Hi-Def computing, at the same time lowers power consumption for longer-lasting battery. NVIDIA® Optimus™ Technology intelligently, automatically, and seamlessly transitions between the powerful NVIDIA® ION™ GPU, and battery-saving integrated graphics – depending on the needs of the application – delivering great battery life and great performance when you need it. Making light work of Internet multi-tasking, the Aspire One 532G needs only a single charge for up to 10 hours* of cable-free power, enabling users to stay connected and get the most on-the-go. The innovative AC adapter is travel friendly, lighter than typical adapters, saves 1/3 charging time and comes with interchangeable AC converters. No matter where you are, you can always have the right plug. Measuring only 1” thin and about 1 kg in weight, the Aspire One 532G is available in three contemporary colors – Sapphire Blue, Ruby Red and Pearl Silver. Its compact form, fluid Hi-Def cinema and flawless Hi-Def flash video quality along with great battery life, truly realizes barrier-free communication. This highly efficient netbook is Energy Star® v5.0 qualified and compliant with RoHS and WEEE EU directives, regulating the use and disposal of hazardous substances in electrical and electronic equipment. It also features LED backlight, making it mercury free. 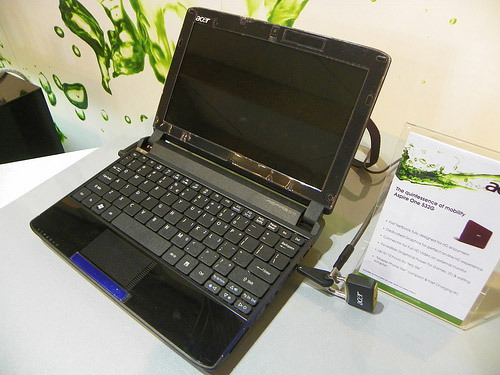 The Aspire One 532G will start shipping at the end of Q1 2010.